An ongoing wildfire has resulted in a road closure. The fire, which was reported to the Scottish Fire and Rescue service just after 11am today (Wednesday 24 April), continues to burn. The road is closed at the junction of the A850 and B866, one mile from Dunvegan, due to the ongoing blaze. Police Scotland have asked to avoid the area if possible and thanked for their patience. 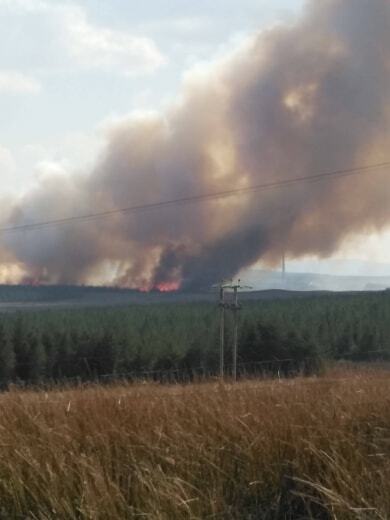 Firefighters are currently battling a blaze near Edinbane. Six fire engines were sent to the scene. A spokesman for the Scottish Fire and Rescue Service told Skye Times Online: "The Scottish Fire and Rescue Service was alerted at 10.55am on Wednesday, April 24 to reports of a wildfire on the Isle of Skye. 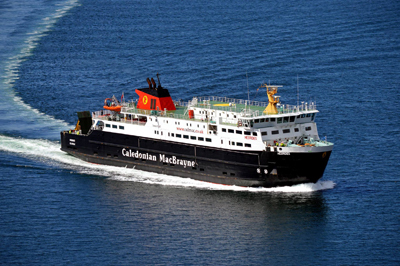 Two new features have made booking online with CalMac easier. The ferry and harbour operator has now introduced new features to their web booking system that allows customers to save payment details and make changes to reservations online. CalMac's Head of Customer Services, Alan Hood said: "Feedback from our customers told us that they wanted an improved ability to 'self-serve' tickets, and modifications to bookings, 24-hours a day.